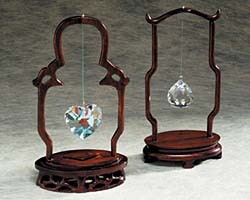 SALE - These handcarved wooden crystal hangers are perfect for table-top display of single crystals. This item is the Display only. Crystals are separate. Clover or Loop Designs. Originally $6.50ea.